Pillows are perfect for my family room update. Great size, soft, stylish, great price. Didn't realize there were two pillows so bonus! Will look to this brand for future purchases. Dress up any room in contemporary style with this decorative pillow. This metallic diamond design pillow is perfect for everyday home decor. Pillow inserts included. Dimensions 18.0 In. X 18.0 In. X 2.0 In. I ordered several of these pillows to tie in all the colors of my bedroom. I couldn’t have asked for a better design and color, I got two gold ones and 1 silver which made the colors on my bed pop. I love them and best of all they are so soft and they were on sale:) love overstock they always come through with everything I need. This pillow is a lot bigger than I had intended, but with how soft and supportive it is, I prefer it that way. The gold is a nice pop against our dark cherry rocking chair, and still fits in with the French Country/English Cottage aesthetic that my roommate and I are going for. 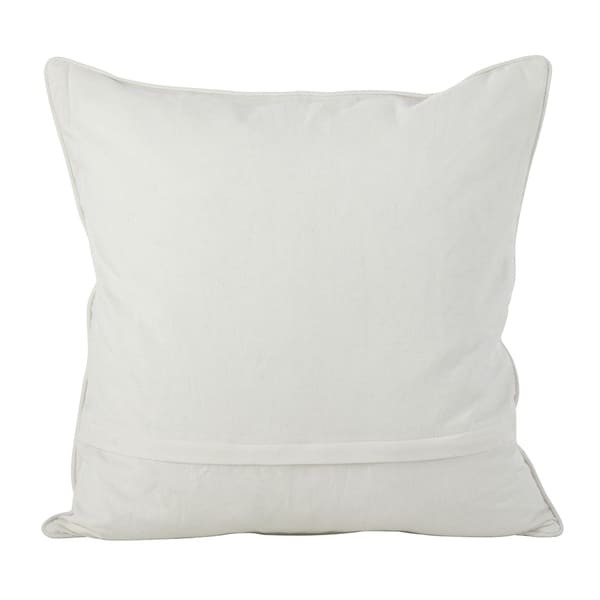 Definitely would recommend this pillow not only as an accent, but also a new sleeping companion; I've used it for many a nap during this summer's thundestorms! I have these pillows in my living room. I wanted the gold color against my brown leather sectional. They are quality pillows and the quality is excellent! I liked this pillow. An excellent one to pair with other gold pillows. I love these pillows. 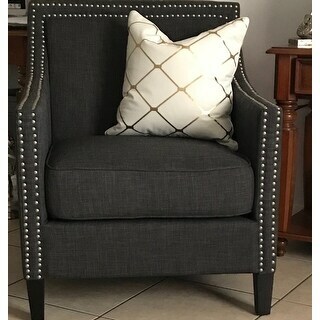 I ordered two for my family room chairs and I get compliments on them all the time. 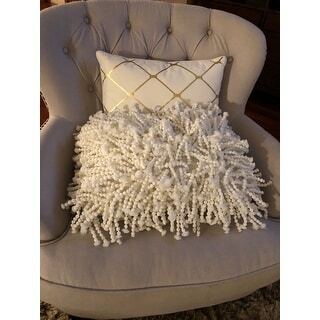 I paired this pillow with the Mina victory shag ones from this website. Excellent value for the price. It gives a touch of elegance and beauty where I put it ... it's a perfect size .. I'm in love with pillows ... the color is beautiful I was surprised when I opened the package so beautiful ... as seen in the picture is like that. Love this pillow! The gold color is as pictured. The pillow is soft unlike some cute pillows which tend to be for looks only. Perfect addition to my room. Beautiful pillows..... as long as you never have to wash them. However, they are white pillows, so chances are you will. And when you do, all of the metallic diamonds come off. Even washing by hand. That was a waste of *** Not happy! Exactly as expected. Very nice. Really love this pillow. Even after a couple of washes (inevitable with a white pillow and a small kid), this pillow remains white and the gold remains sharp. One helpful note: this pillow is a lot larger than I expected. That's not necessarily a bad thing, but obviously consider the measurements when determining whether this pillow is right for your space. Fits so well with my couches!! Amazing and fluffy. Its look exactly like the picture. I absolutely loved this pillow. it is firm and Looks more expensive then the actual price. I would definitely recommend this item. I wish I ordered two instead of one. Love these pillows! They were a prefect match for my decor and they were as thick as I hoped they would be. The quality of this pillow is amazing. 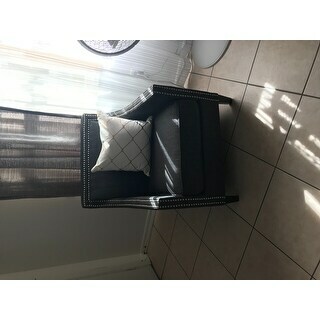 I ordered 2 and they look wonderful on my sectional. The gold really pops. The shipping was extremely fast. Very cute and size and quality exactly what I needed to complete the look. "Is this pillow 20x20 or 18x18? The product name says "20inch" but the size option says "18x18."" This one comes in two sizes but at this time we only have 18 X 18 available. "Are u getting gold pattern back in stock?" Unfortunately we don't know if we will be getting gold pattern back in stock. "What does the description mean by "Down" regarding the filling material?" Hello Sommers Rose, the fill would be duck feathers. Thank you for shopping with us.